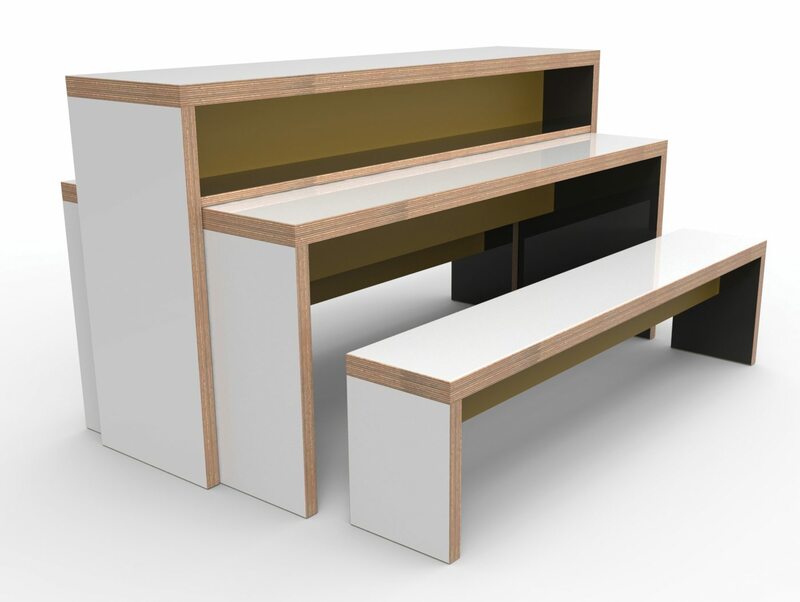 Heppell Bench - Learniture® educational furniture. So using this simple premise, we created a bench set that is a tiered seat one minute, and the next a collaborative table, either at seated or standing height. All the light grey surfaces (so that’s the top of all horizontal worksurfaces and the outward facing vertical end panels) are finished in LearningSurface® – tested to BS EN 14434:2010. Because of this (as well as for other great learning reasons too) we recommend a ‘shoes-off’ policy in learning spaces where Heppell Benches are used. Would you like to know more? Get in touch today.